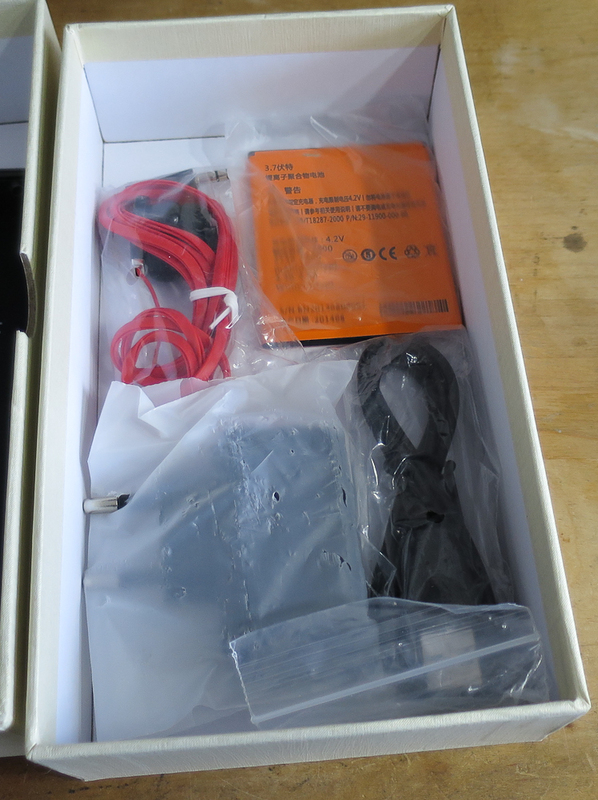 I picked it up in the electronics capital of the world – Shenzhen, China. My hotel was a few doors down from the Mingtong Digital Communications Market, aka “the dodgy cell phone market”. 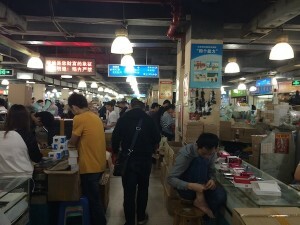 In Mingtong you can buy a huge array of smartphones, feature phones, smart watches, and accessories. Some are fakes of mainstream brands, and some have their own brands. This is where the $12US cell phones used in Project Fernvale were sourced. So what’s the deal with this Huami phone? Can you really buy a decent smartphone for $34US? 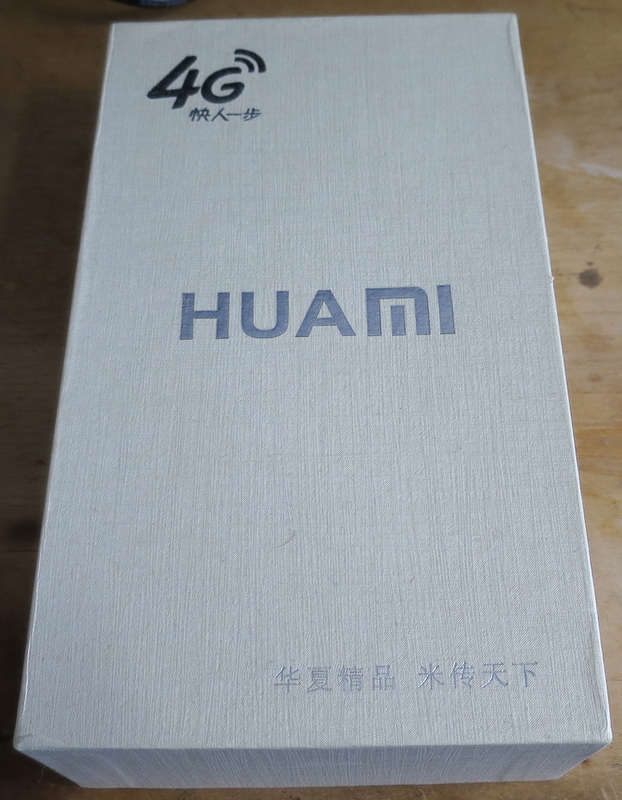 “Huami” is a mashup of brand names. 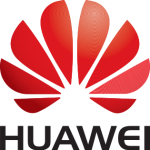 “Hua” comes from Huawei, the largest telecommunications company in the world. “Mi” comes from Xiaomi, the hottest Chinese smartphone company and the third largest smartphone maker in the world. 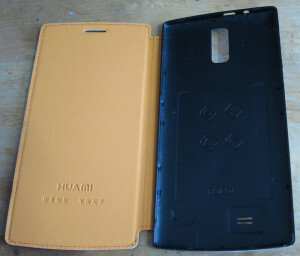 It’s easy to condemn opportunistic copy-pasting of Huawei and Xiaomi’s logos. Certainly a Western trademark lawyer would! I think this is actually a bit creative though. I don’t know if it really erodes the major companies’ reputations. 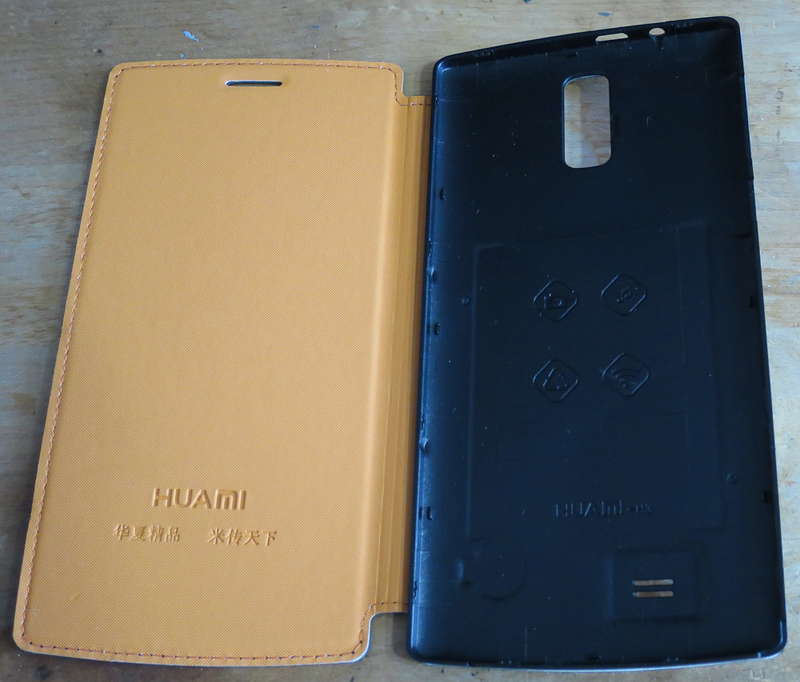 Noone seems likely to think they’re buying a Huawei or a Xiaomi here. It’s almost like an homage. My Huami H3 came in a retail box with a faux-fabric finish. A lot of accessories for $34! 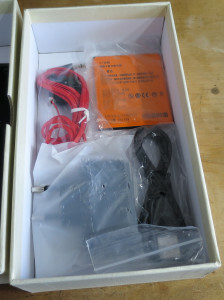 A spare battery, headphones, and a USB charger. I won’t be plugging the charger in, after watching Ken Shirriff’s excellent USB charger teardown that demonstrated how noisy and dangerous cheap chargers can be. The text on the front reads 华夏精品 米传天下 (Huáxià jīngpǐn mǐ chuán tiānxià). This slogan is repeated in a few other places. The slogan continues the brand mashup. 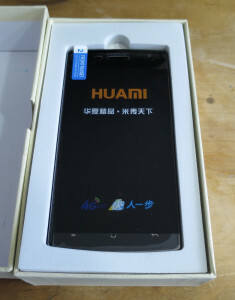 华 at the start of 华夏精品 is the same “hua” in Huawei. 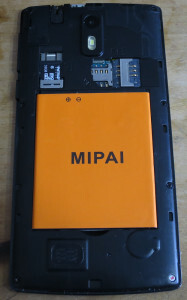 米 at the start of 米传天下 is the same “mi” in Xiaomi. Translated, I think the slogan means something like “Grand Chinese products”, “Rice spreading to the four corners of the earth”. “Rice” (alternatively, Millet) is the “mi” from Xiaomi, and is maybe also intended to evoke feelings of wholesomeness. China’s home grown product on the world stage? As a smartphone, the H3 is “almost OK”. All the apps I downloaded from Google Play ran. 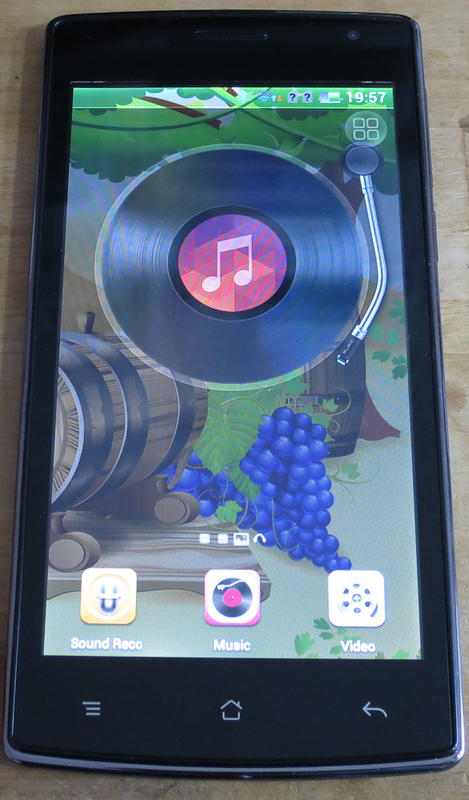 The phone only locked up once – while I was playing a game. WiFi and Bluetooth worked. The onscreen keyboard was snappy. The screen is bright and clear. However, performance was pretty slow at times and it was clear the little H3 was low on RAM. The home screen would often have to reload from scratch after closing an app! Not much hope for multitasking. Touches on the touch screen occasionally didn’t register. Just after I got the H3 I thought I’d try it as my daily phone for a week while I was in New Zealand for a conference. After installing a few apps I went back to my Nexus 4. I could have used it for the week, but it would have been frustrating. 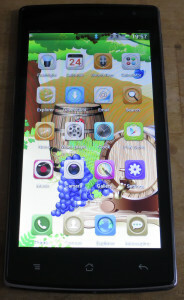 In the world of dodgy cell phones, specifications (like brand names) can be deceptive. Even though the label on the H3 says “4G”, in New Zealand I only ever saw it connect at 2G/2.5G speeds (GRPS and EDGE). According to the /proc/cpuinfo output, the processor is a “Spreadtrum SC6825C” 1GHz dual core system-on-chip with integrated 2G. Spreadtrum are a competitor to Mediatek in the low cost system-on-a-chip market. Last year they announced a partnership with Mozilla to produce $25US FirefoxOS smartphones using the SC6821 chipset – this chip’s single core sibling. “8 cores” was a con job. The About page was modded and a custom visualisation added to suggest a much faster processor with more cores. Sneaky! More amazing is that the H3 only has 200MB of RAM! According to Google’s compatibility PDF, Android 4.4 requires 340MB of available RAM. 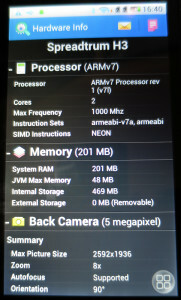 200MB is even less than the Android 2.x era! I’m amazed Android 4 is even halfway usable with such meagre RAM, given how terrible recent cheap smartphones with 512MB of RAM are! The Spreadtrum/Huami engineers could teach mainstream phone companies something here, I think. One trick to help the RAM situation, the H3 is using ‘zram’ – compressing RAM internally to make a fake “swap” space! 90% of the system’s RAM, a massive 180MB, is allocated this way. This is another “I can’t believe this works at all” situation! Also sneaky is the storage situation. The Settings shows there is 4GB of internal space. This lack of storage doesn’t matter as much as you’d think, because there’s a MicroSD card slot. This works nicely, and apps install to SD by default. Having a 328MB /system partition for the OS is pretty tiny. On my Nexus 4 this partition is over 800MB, and nearly full. I think more hacky engineering feats have been done to shrink that down! The last sneaky factor in the phone specs is Android 4.4 “Kit Kat”, which was released in October 2013. The number 4.4 is displayed in many other places, even in the system profiler output. However the profiler also reports “API level 15”. Android’s API levels provide a meaningful indication of the version, because apps need to check which Android features are available. 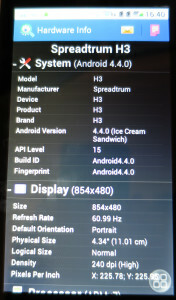 Level 15 actually corresponds to Android 4.0.3 (Ice Cream Sandwich), released in December 2011! 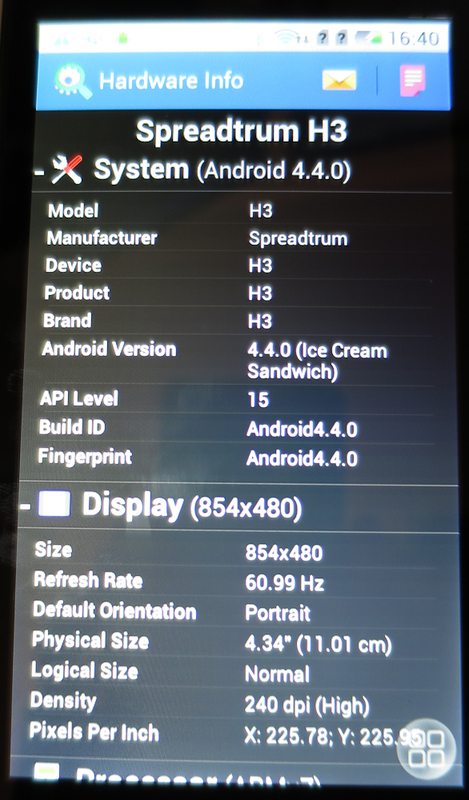 So the H3 is really running Ice Cream Sandwich, but the build strings have all been changed to say Kit Kat. The cameras are quite reasonable. 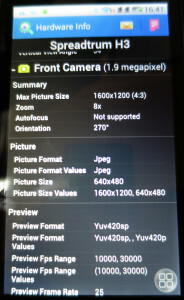 5MP on the back, 2MP on the front. 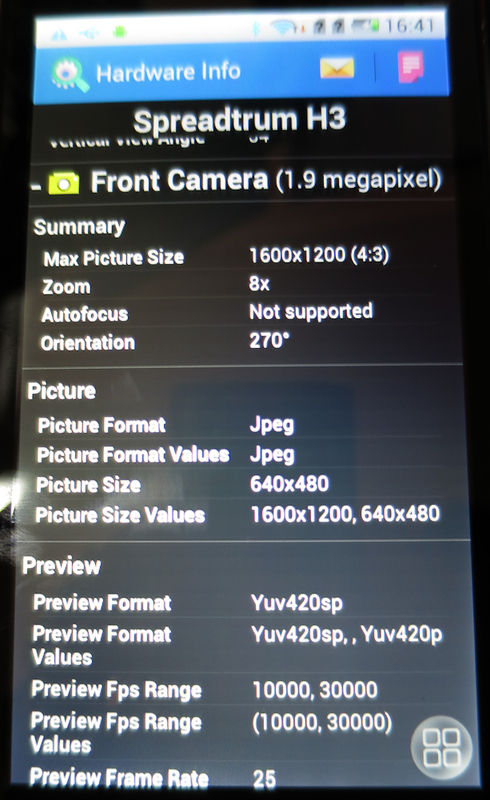 The photos they take aren’t great, but they’re better than any VGA-resolution feature phone! How much of a scam? I don’t think the sellers in the Mingtong market meant to con me. When I was in the market stall, the man and woman behind the counter told me something several times that I think meant “this phone is not actually a MediaTek”. Due to not speaking Chinese I can’t be sure what they said! If a Shenzhen migrant worker buys these as gifts for back home in rural China, people there may not ask too many questions about the technical details. If someone buys one as a status symbol, exactly how the phone performs is less important than how it looks. Someone can buy this in full knowledge that it’s a sham, as long as it looks fancy at a casual glance. You may not have the money for a nice smartphone, but you have the money to fake having a nice smartphone! If someone buys them wholesale to resell in the less tech-savvy backwaters of China, they can probably rip people off there with false claims. I think for $34US this is pretty remarkable. It suggests that the $25US smartphones that Mozilla are planning for FireFox OS may be the tip of an iceberg. 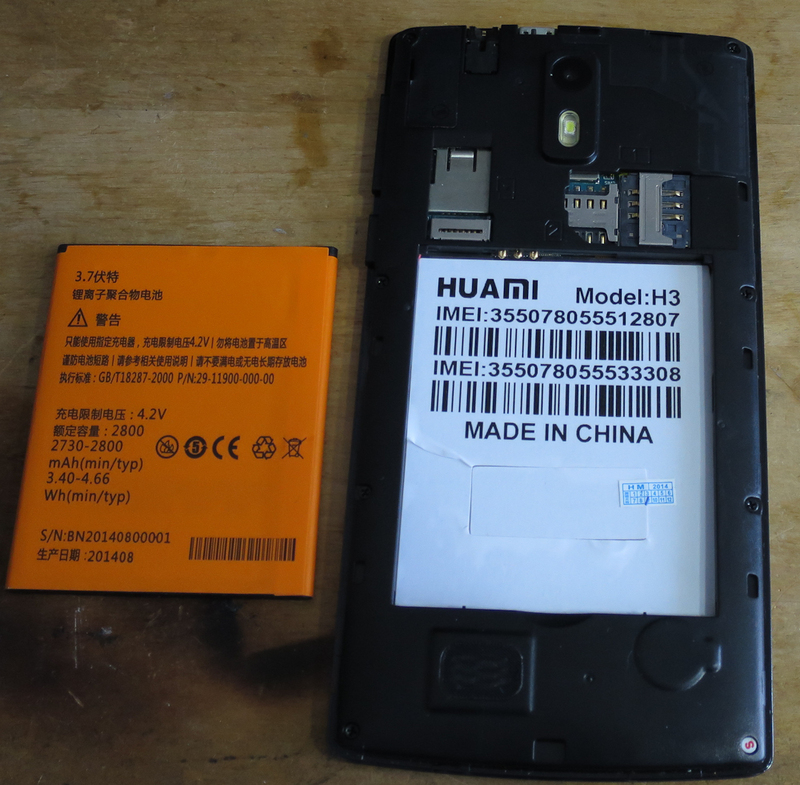 That said, I’m not about to start using a Huami H3 as my phone. It’s a little bit too clunky, though it still compares favourably to other cheap smartphones that cost many times the price. Last year a friend bought a 60 Euro low-end Samsung smartphone with Android 4.1, and it feels significantly more laggy than the Huami. If there was a way to load FireFox OS on it, things might be different as FireFox OS is designed for low end hardware. 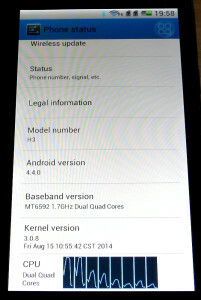 Sadly, there’s no kernel or bootloader source code available for the H3 yet. I also I couldn’t see an easy way to get root access. So loading other OSes is not possible, at least not yet. EDIT: Part 2 is now online. Read it here. FYI, the Firefox OS smartphones with the SC6821 are already on the market since September 2014. Thanks, I didn’t realise! Is the phone you’re referring to “Intex Cloud FX”? I somehow missed this in my first round of searches, the widespread news about “planned phones” seemed to eclipse the release of actual phones somehow! Do you have any pointers for kernel/uboot source or similar to suit SC6821, or other Spreadtrum SoCs? I haven’t had a lot of luck yet. All these phones (there are four in India and a few more in other countries) have codename Tarako. Blobs and sources are linked here: https://github.com/mozilla-b2g/b2g-manifest/blob/master/tarako.xml. It looks like its a good phone and. I have admired the phonel. I am in Ugand how can I get such phone here in Uganda for resale at Kasambya community computer centre. 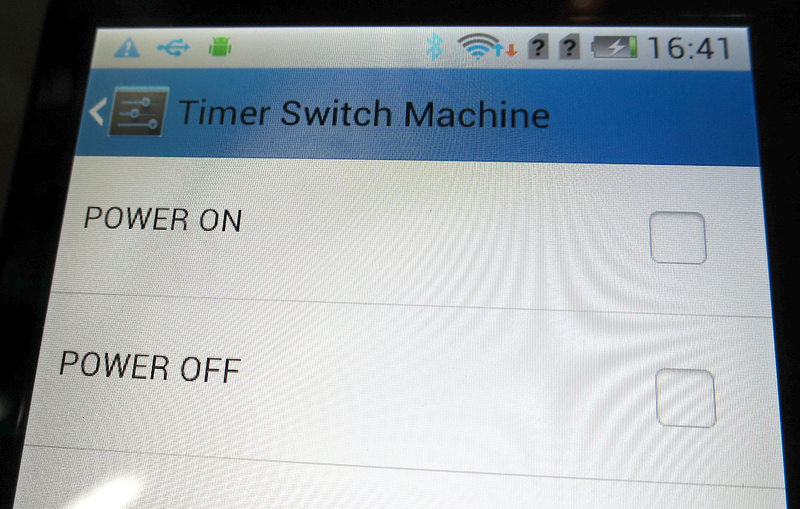 The “Timer Switch Machine” is probably a copy feature from mediatek-based phones. 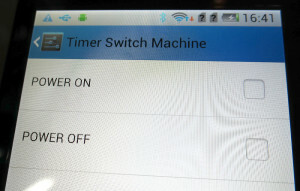 It basically sets if you want to turn off and on your phone at some times of the day (like this: at night, the phone turned off automatically while you asleep, and turn back on just before your alarm go off, so you basically have 0% drain overnight, and your alarm still rang). While I don’t know if that feature really runs on Spreadtrum. I can confirm this. It does actually work; I have used SC7715 cheap phones before. Regarding rootability: I’d say that there’s a solid chance of the device being vulnerably to TowelRoot (https://towelroot.com/), or similar. Indeed, everything that runs on 4.2.2 or below can be rooted with Towelroot (v1!!!!). $36 INCLUDING shipping to US. 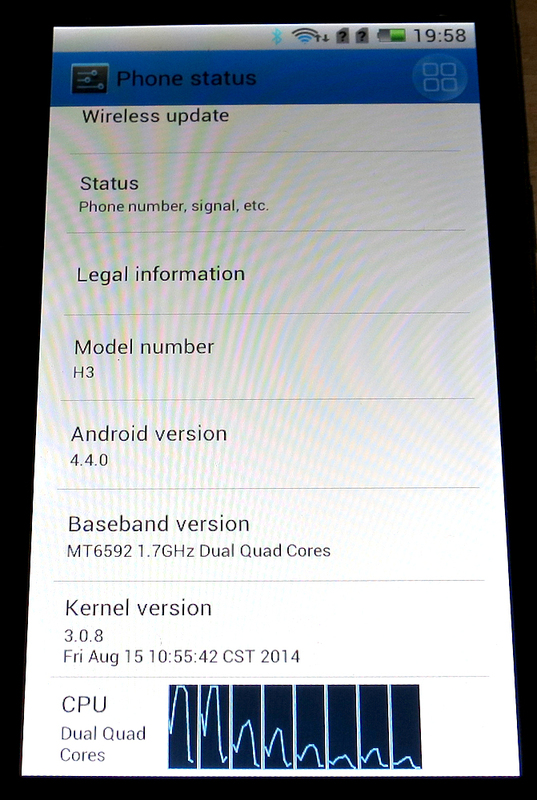 Newer CPU, actual Kitkat, much closer to aosp so it should be less laggy. Gets 5000+ on antutu. What does yours get? You did get the Reddit hug, that’s why I’m here. Nice job! The brand name is actually quite clever. The joke behind Huawei’s brand is that they came onto the telecoms field with lots of ex-Cisco engineers, building telecoms infrastructure to challenge the giant. Their name reflects them as the underdog: Huawei (who are we) to challenge Cisco? There were even early lawsuits in the mid 2000s as some of the code was used matched line for line. 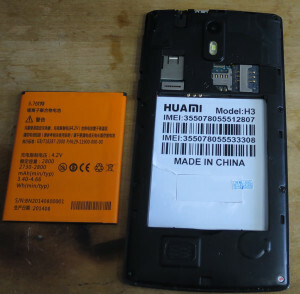 Now Huawei is an established brand we see this knockoff- Huami (Who am I) to challenge Huawei? I’m willing to bet those cameras are scaled up too. 2M->5M and VGA->2M. Interesting thought. 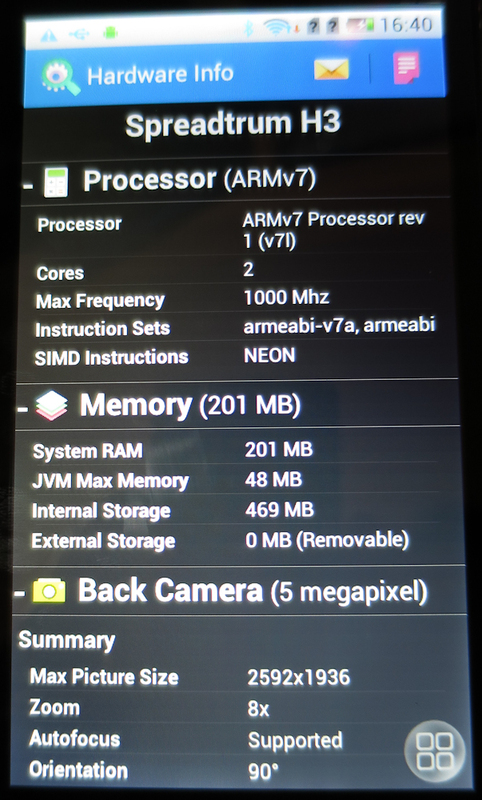 The kernel drivers could probably be doing it, so android sees the higher res. I’m not sure how you’d prove it though. Telling the difference between a noisy high res image and a noisy low res image, both through a cheap lens, could be hard. Good post! You got some great photos near the used cell market. I’ve been there as well, it’s fascinating but I’ve been brave enough to take photos there! I was half hoping for obvious used parts in the H3, but I didn’t find any unfortunately. Teardown post should be up tomorrow with some details. I had a Kyocera Virgin Mobile phone from best buy for two years. It’s $29.99. Can do all the basic stuff well. Browsing the internet works great, email, all that jazz. Some simple games like bubble shoot and similar work like a breeze. 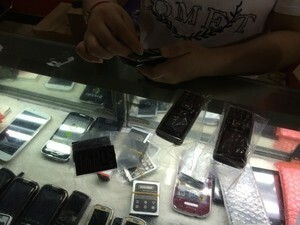 If you are on a prepaid plan and your phone broke, there are so many cheap options these days. Would it be possible to sell these phones on eBay to stupid people? I think you could easily ask $45 per unit for such a phone. If manufacturer could make custom color (like pink for stupid females and blue for stupid males) then it would be easier to trick the unintelligent and marginally retarded consumers. It is possible to do many things if you have no ethics. On the other hand, ‘following the rules’ and ‘obeying the law’ are Western inventions. 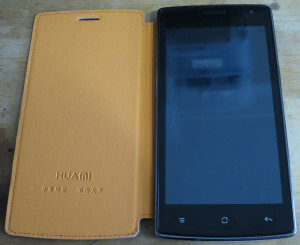 Hey, I bought a chinese fake phone a while back. EVERYTHING is fake in these. 5MP? You are being fooled! The depth of deception only slowly reveals itself. For me the worst part was the touch screen that can only register two touches at the same time but only vertically, horizontally (like when you write) it only registers one touch. That means when you type fast you will hit any button between your two fingers, which is very annoying. Also the GPS is missing, it seems to be in the Mediatek chip and everything says it is there, even if you boot into some engineering test tool but it just doesn’t work. If these two would work I would call it a decent phone. But the scamming is getting in the way of functionality. The reported ram and disk space mess with everything, make you lose data. I have no idea how to fix it. When I bought it they had me with preinstalled benchmarks. I new the programs and they actually reported the real processor which oddly enough was what made me trust them. But they were altered! The first number of the benchmark score was hacked in to be static, so a 2500 scroe would show up as 22500. And it goes on and on. It is very time consuming to find out what is actually inside of these phones. You might not even notice that gps is missing at first because google maps positions you according to wifi stations and mobile antennas. My verdict: not worth the hassle. 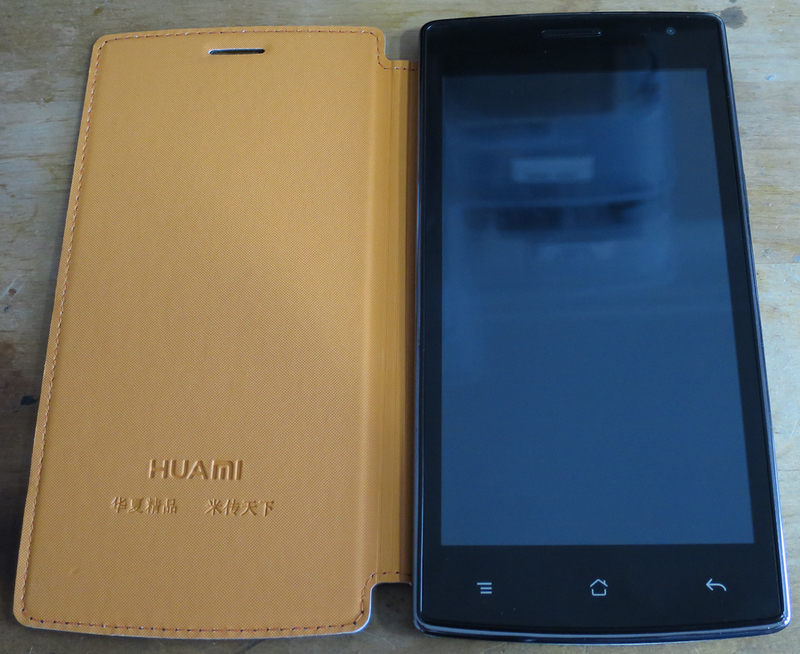 Now I got a real Xiaomi which was a pain to get but is awesome! A real high end phone for around $250. Great article! Thanks for the link to my charger teardown article – based on the amount of traffic I got, your post must be insanely popular. You said you’re not going to use the charger that came with your $34 phone. I’d be happy to analyze it for you if you send it to me. Thanks for the great blog articles themselves! Really well researched stuff.